THE WIN BEGINS WITHIN! 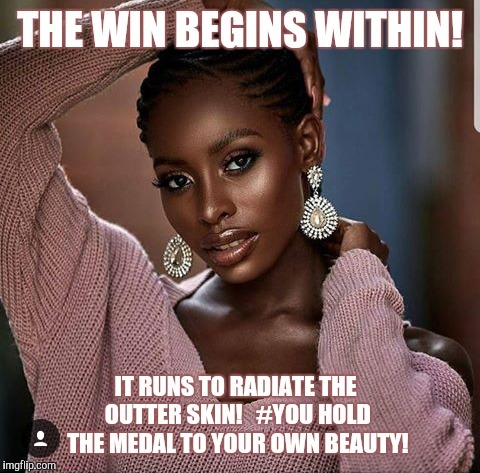 IT RUNS TO RADIATE THE OUTTER SKIN! #YOU HOLD THE MEDAL TO YOUR OWN BEAUTY!